Tata Ma Tarps and Linings’ unique and specialized “Dam Good Glue” is ideal for repairs and patching of PVC reservoir liners, Vinyl pools, tarpaulins and DIY installation of earth dam and pond liners. 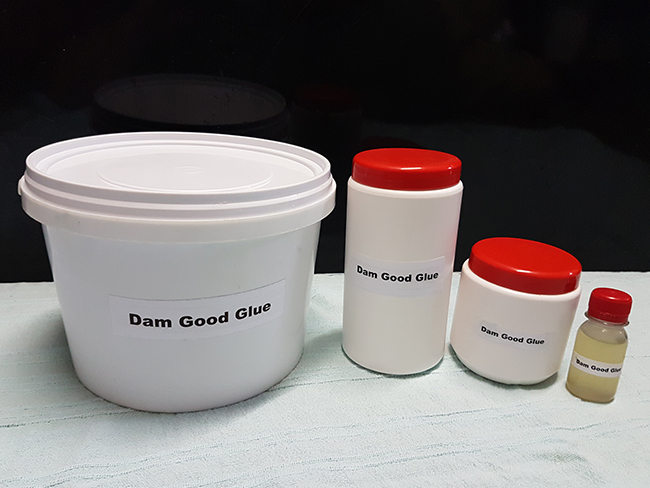 “Dam Good Glue” is a super strong extra flexible adhesive that can even be used in under water patch applications of leaking dams, ponds and pools. The glue is sold as a “Dam Good” patch kit which contains a 50ml bottle of adhesive and a 20cm x 20cm reinforced PVC patch, or just the glue in 500ml, 1litre and 5litre quantities. 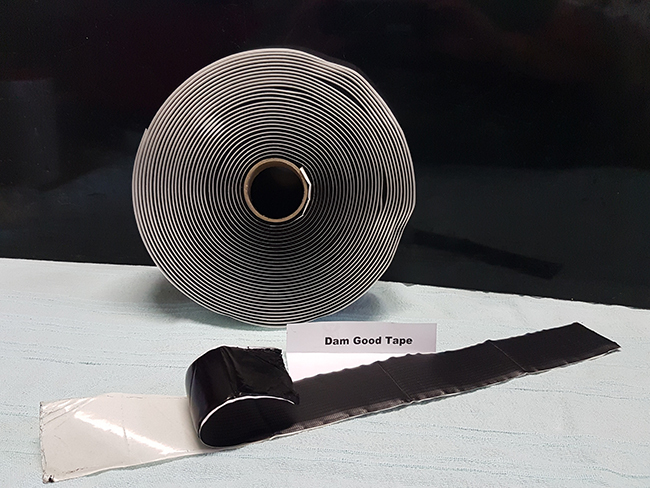 Tata Ma Tarps and Linings’ “Dam Good Tape” is a super sticky butyl tape that comes with a 500g reinforced PVC backing, that is ideal for the repair of small holes and tears in HDPE, LDPE and PVC dam liners. The PVC backed tape is sold in 0.5 and 1m lengths of either 25mm or 50mm widths. However if larger areas of damage are evident, 15m lengths of 25mm or 50mm widths can be purchased with the desired size PVC patch, this can then be installed over the damaged liner section. This “Dam Good Tape” is a great cost saver as no on site machinery or repair team is required to fix your leaking HDPE liner.